Dyana Zweng is the owner and lead designer at A Bit of Earth in Scotts Valley, California. She has had decades of design experience with textiles, interiors, ceramics, and gardens. Community, family, and nature are dear to Dyana. Her “community” extends northward from their little town to bustling Silicon Valley and San Francisco, and southward along the Pacific coast to Carmel. She loves to hike and backpack and soaks up inspiration from this gorgeous area. Dyana’s garden, among redwoods and coastal oaks, is organic and welcomes many species of birds and pollinators, squirrels, coyotes, deer, and lizards. The garden provides redwood boughs, roses, vines, ferns, grasses, and succulents, as well as perennials like dahlias, lambs ears, foxgloves, delphinium, and hellebores. She also sources freely from small local farms. Her designs juxtapose wild with luxe. They are at once modern, timeless, and untamed and blend seamlessly into the surrounding beauty of our coasts and forests. Dyana, her husband Dean, and their four children have made Scotts Valley home for 26 years. Dean often lends a hand with carpentry and large installations. Here’s a glimpse of part of the garden, just outside the studio. Plants that love part sun grow well here. Sun-loving annuals have fewer choice spots. Artistic and energetic friends are part of the team, especially on a wedding day. Every couple has a unique story to tell. Flowers speak an ancient language of romance, fertility, and celebration. 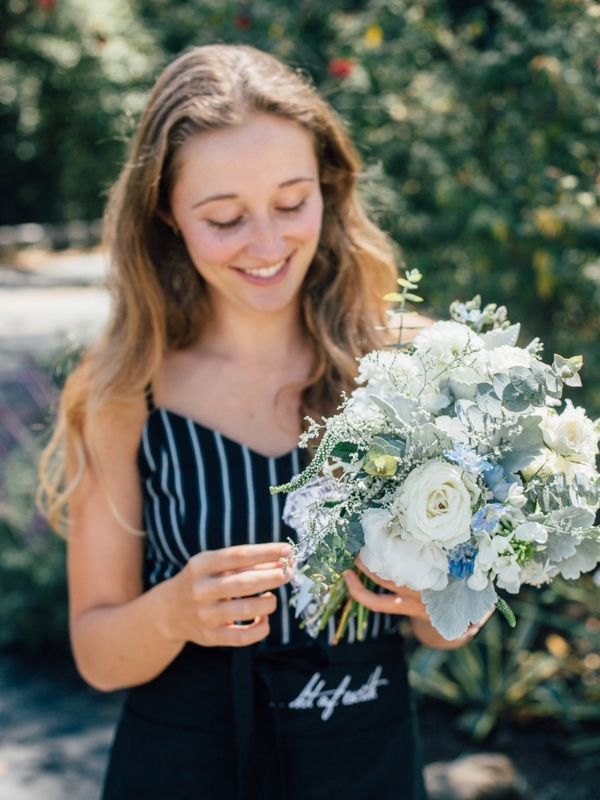 Our heart is to help you define your inspiration and bring it to life with perfectly-suited florals. We love to work with people who share our passion for flowers. Paralleling the “Slow Food” movement, “Slow Flowers” are healthy for the environment and for both those who grow and enjoy them. Slow flowers are more fragrant, glorious, and long-lasting than conventionally grown or imported flowers. We aim for “zero-waste.” So instead of single-use floral foam, plastic, and wire, we use biodegradable and reusable materials like glass vases, jute, silk, and willow.